Rehab2Performance – Leaders in the field of rehabilitation and performance. 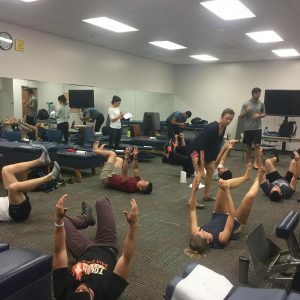 Rehab2Performance is a federally recognized 501(c)(3) non-profit organization that was founded to not only endorse and expand the principles of The Functional Approach, but to do so in a way that brings together forward-thinking, progressive professionals in a multifaceted environment that promotes health, wellness and activity. The Functional Approach focuses on evidence-based training and healthcare and acts as the framework for making decisions based on indivial patient or client needs, often referred to as n=1. 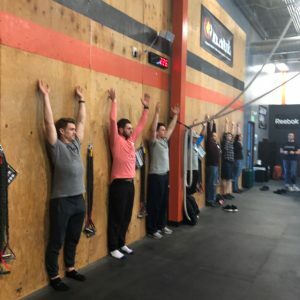 This approach weaves together movement, mindset, nutrition and recovery in a dynamic fashion that all falls under the category of rehabilitation. 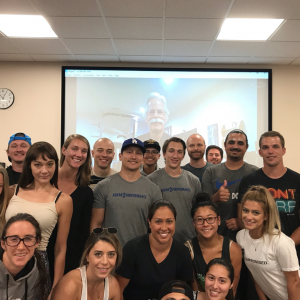 Professionals who adopt the R2P mindset manage patients, clients, and athletes within a biopsychosocial (BPS) context, which includes approaching patients and clients with a teamwork perspective. 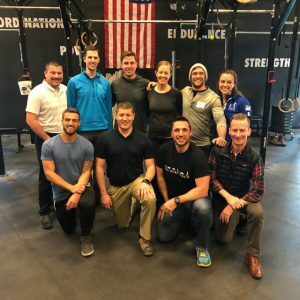 Leaders in the fields of rehabilitation, physical medicine, and performance who are educating and collaborating with a common goal of improving the lives of the people we serve. 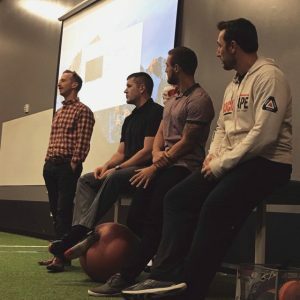 We are the "anti-camp," a group of open-minded health and fitness professionals who want to bridge the gap between rehab and performance by integrating principles that span different disciplines in the way we learn, practice, and share information to allow for more patient- and client-centered interventions. Who makes up the R2P Community? R2P clubs lead the way in preparing you for the next step after graduation. Regular attendance in R2P club activities will help accelerate your career by providing opportunities to experience contemporary rehab systems that can be immediately implemented in clinical practices, all while developing invaluable relationships and connections with fellow students, local professionals, industry leaders, and potential employers. R2P brings together a community of like-minded professionals on the forefront of clinical, rehabiliative, and training practices. Our members focus on active care and are dedicated to a functional approach to their interactions with their patients and clients. Our members are passionate, caring experts and leaders in their fields providing you with the highest quality care. 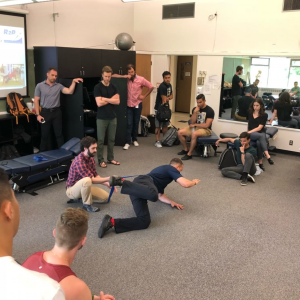 Don't wait to find an R2P provider in your area who you can trust to take your movement goals to the next level, from getting out of pain to performing at your best. Click here to find a R2P professional near you!